Versatile, richly varied and full of flavour, mushrooms scream ‘autumn’ more loudly than any other food ingredient, adding punch and flavour to an array of dishes. Martine Nouet is our fungi guide. The narrator, then a child, had been punished by his father and deprived of the wild mushrooms that had been picked by the family in the afternoon – and which turned out to be poisonous. Unless you are an expert in fungi or you are accompanied by one in your search, I would recommend looking for wild mushrooms... at a farmers’ market! I recently wandered among the vegetable stalls at Borough Market in London and found all that you can expect from mushrooms at this time of year: a palette of brown from tawny to ochre, beige and almost white, an array of fragrances too, from sweet to earthy. Perfect food for thought, mouth-watering and inspiring. Unfortunately, the mushroom extravaganza of Borough Market cannot be found everywhere, especially when your only shopping device is a supermarket which limits its offer to chesnut or button mushrooms. But it is still possible to do a lot with these and experiment with delicious pairings with the right whiskies. Beforehand, let’s have a closer look to the different species of grown and wild mushrooms, with a particular focus on the ‘diamond of gastronomy’ as 19th century French writer Brillat-Savarin would call truffles. Two things are equally important to the flavour of mushrooms: the vegetal variety and the way the mushrooms are cooked. Button mushrooms are the small, white cultivated mushrooms that can be found anywhere. When brown, they are called chesnut or cremini mushrooms. They have an earthy and mild taste. I prefer brown mushrooms to white ones – they are firmer and tastier. 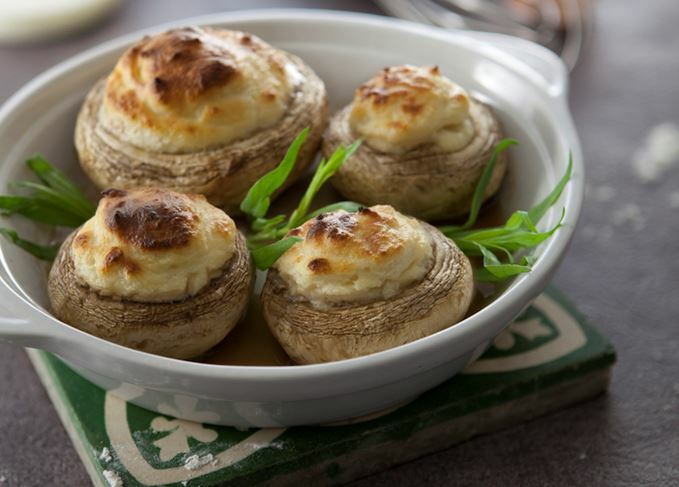 Cremini are immature Portobellos – excellent mushrooms with fish and seafood. Portobello mushrooms are large, with a fuller flavour and a meaty texture. They are ideal with meat and pasta or risottos or grilled (even barbecued). Shiitaké, originally from Asia, are now farmed in Western countries. An important ingredient in miso soup in Japan, they have a mild taste when fresh, slighter stronger when dried. Choose clean and plump shiitaké with an even colour, and don’t soak them in water as they will get soggy. They are excellent in soups or sautéed in a stir-fry. Porcini (or boletus, cèpe in French) are the king of wild mushrooms. They can be found dried all year long, but are better fresh. The season is short (September to mid-October). Porcini have a full, earthy, meaty and woodsy flavour, and also a thick, glutinous texture, which makes them suitable for sauces, soups and omelettes. They accompany meat (venison, for instance) better than fish. Morels are a must for gourmets. They are more a spring mushroom (March to May), but can also be bought dried and used in autumnal recipes. Be discriminatory when you buy them: I avoid the American ones – they are big, cultivated and tasteless. Morels must be eaten cooked as they are toxic when raw, but are very spongy and hard to clean; use a small brush and avoid soaking them in water. Their wonderfully earthy, nutty and smoky flavour shines through in a creamy sauce. They are excellent with white meats (chicken, veal) and in omelettes, pastas and risottos. Chanterelles, called girolles in French, have a trumpet-shaped form not to be confused with Trompettes de la Mort, another – non-toxic – wild mushroom. Chanterelles have an exquisite, nutty and fruity flavour and a somewhat chewy texture. To stop them becoming rubbery, don’t cook them for more than seven or eight minutes. I especially love them with scallops. Giant puffballs are huge, round mushrooms which grow to this size in a night. They have a meaty texture and are best cut in slices and grilled like steaks. I’m told they can be found on forestry grounds anywhere in the UK. 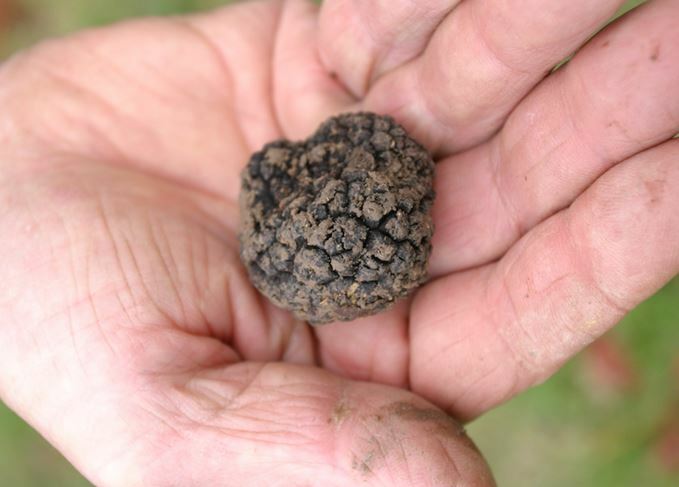 The fragrance of a fresh truffle is to die for! Yes, they are very expensive but, if cleverly used, they are worth their price. First of all, be patient. Don’t buy the first ones arriving in late October. Wait until they have experienced a few days of frost – but avoid them at Christmas as prices soar. To get all the flavours, don’t cook them, just grate them onto a warm dish. Keep your truffle in a jar with raw arborio rice, and your risotto will taste of truffle! Truffle-infused olive oil and truffle paste are affordable and bring pleasant nice flavours. As for the best whisky to pair, go for an old-timer: rich, complex, with a good oaky backbone. How do mushrooms and whisky get on? Thanks to their earthy and nutty flavour, mushrooms offer interesting matchings. The way they are prepared is crucial too. Peated or unpeated? Smoky whiskies are not easy to pair, though one might think that the earthy character of the peat would allow a natural match. Intensely phenolic, medicinal and marine single malts are too powerful and completely overpower the subtle taste of the fungi. But a smoky/earthy peated whisky (a Speyside malt like Ardmore or a peated Jura) will go with venison and porcini stew. Bourbon cask-matured malts will prefer mushrooms in fish or shellfish dishes, including risottos and pasta, especially with chanterelles. They will also match scrambled eggs and chestnut mushrooms. Single malts matured or finished in Sherry casks will pair with meaty mushrooms like boletus, and sauces cooked with red wine or Port. They can also be served as a side vegetable wrapped in filo pastry with mature Cheddar (to add a crunchy texture). Also think of mushrooms for poultry stuffing, for soups, for waffles or pancakes. Can mushrooms be used raw? Absolutely (except morels). They are delicious in salads, with citrus fruit and smoked or unsmoked duck breast. A few walnuts underline the autumnal character of the dish. A mildly Sherried (or double-matured) malt is the perfect companion for this kind of salad. 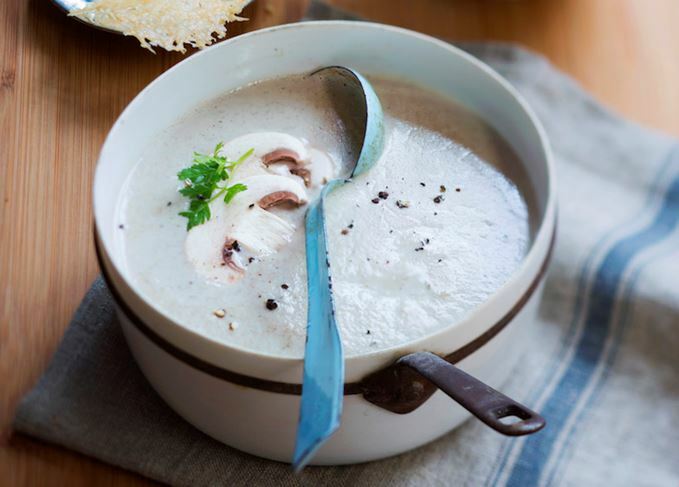 One important note: garlic is frequently added to sautéed mushrooms or soup. I ban garlic from all my whisky pairing as it kills the flavours. Which whisky will you choose to complement your chocolate indulgence this Easter? From Islay to Utah, the fare offered at top whisky destinations is on the up and up. Celebrate Easter by hunting for top-quality chocolates to pair with the whiskies in your cabinet. We survey the UK restaurant scene to discover an array of pairings for vegan diners.